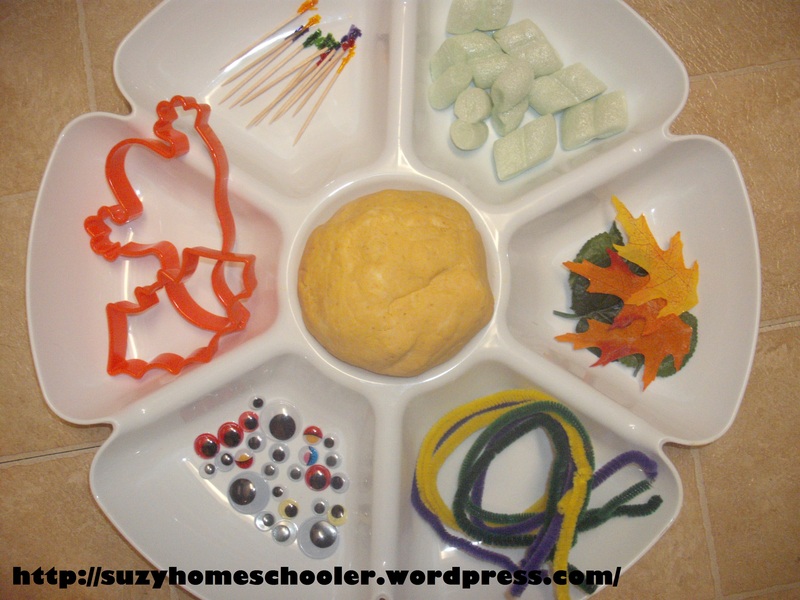 LittleMan is 5 years old and, like many homeschooled children, he is advanced in the subjects he is most passionate about. If you were to discuss science with him, you might be surprised to find that he grasps concepts that are difficult for the average third grader. However, you only need to look at his reading and writing to realize that he’s a typical 5 year old with both strengths and weaknesses. Writing science reports and also writing his own stories about topics of interest to him have been our best methods for encouraging our reluctant writer. 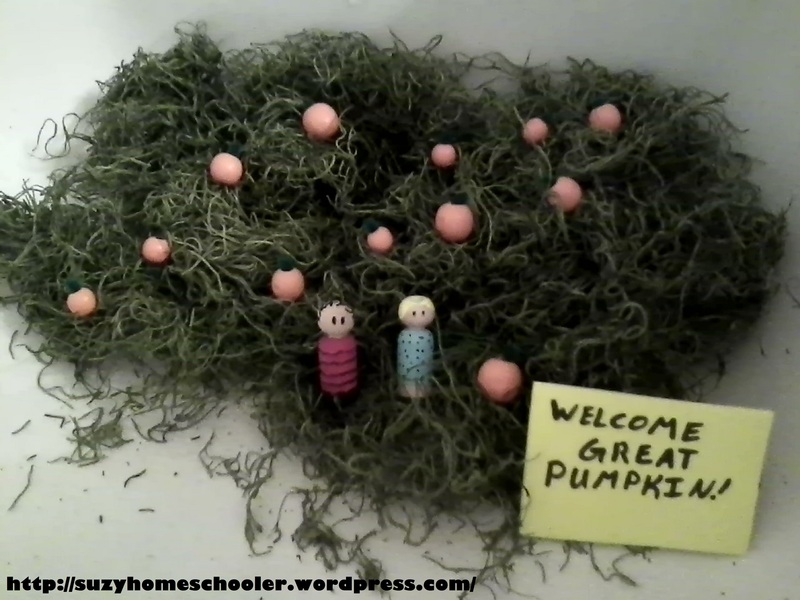 Halloween is my favorite holiday and I am always on the look out for new ways to play and learn with pumpkins. We have been interested in the brain quite a bit lately, and have especially enjoyed making brain hats. 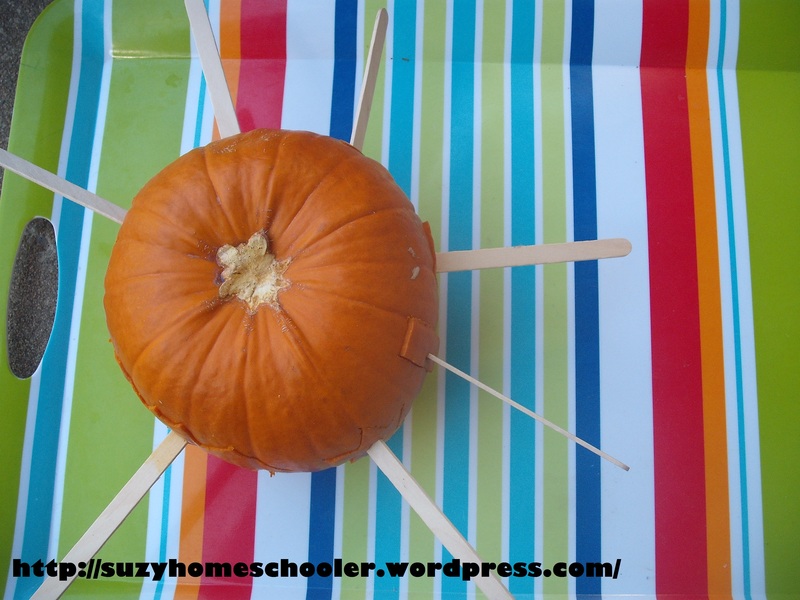 It occurred the me the other day that brain hats we’ve been making, if slightly altered, could be used as a pumpkin carving template. Once I made this realization, the rest was too easy. I hope everyone had a wonderful Halloween! If you follow us on Facebook then you may already know that our family went as the Teenage Mutant Ninja Turtles this year. We actually didn’t get any pictures while trick-or-treating so Marmaduke suggested we dress up again the next day for an “epic battle” (his words) and it was so much fun! 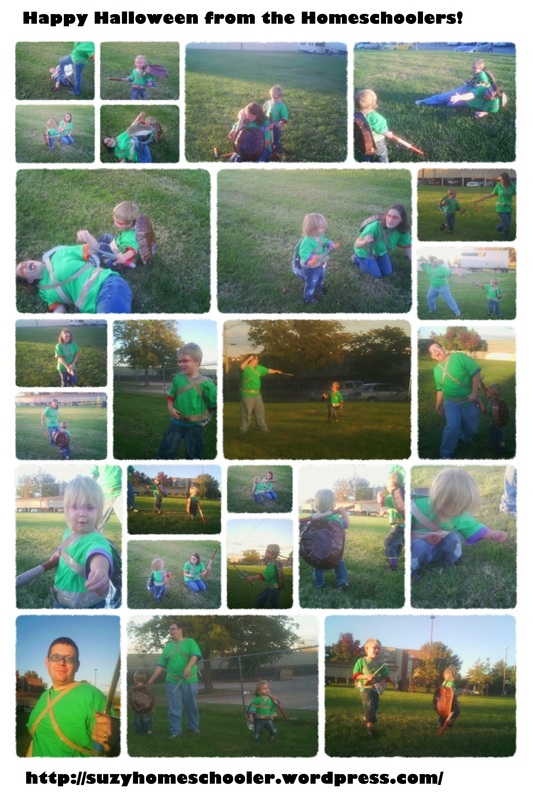 No decent pictures of all four of us together (the self timer can be so tricky with two little ones) so I compiled a collage of the battle to share. We don’t want to be downers on Halloween, but we do want to encourage our children to use moderation with all that refined sugar so we came up with a system LittleMan’s first Halloween which we still use today: Switch Witch. Every year we buy a special toy ahead of time and the children are so excited to get the toy, they happily trade most, if not all, of their candy for it. The candy goes in a tall cabinet in the kitchen, and they are welcome to have a piece or two every week until it is gone. 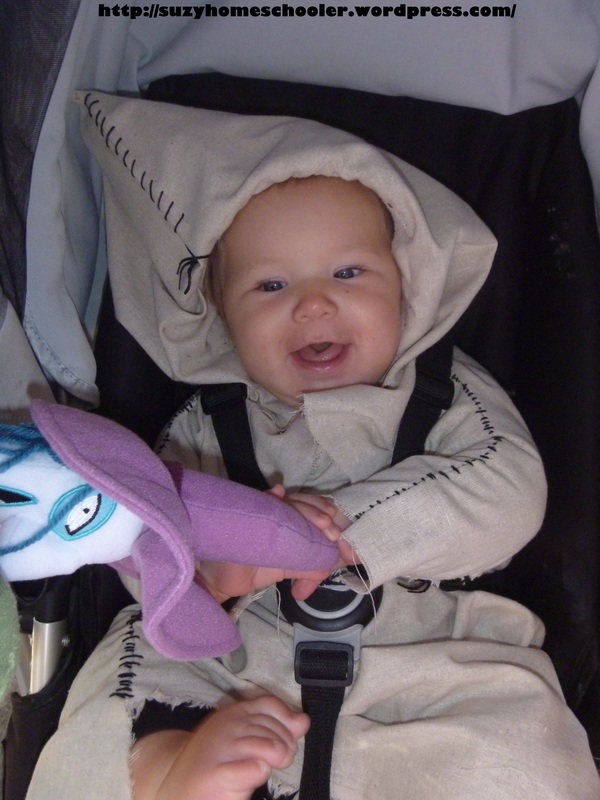 For SunnyGirl’s first Halloween last year, she went as Mr. Oogie Boogie from Tim Burton’s Nightmare Before Christmas. At 8 months old, she wasn’t quite walking yet so we decked-out her stroller with plush movie characters Lock, Shock, and Barrel. She had a lot of fun playing with them while LittleMan trick-or-treated, but at the end of the day I locked the plushies away for a whole year, until this Halloween. 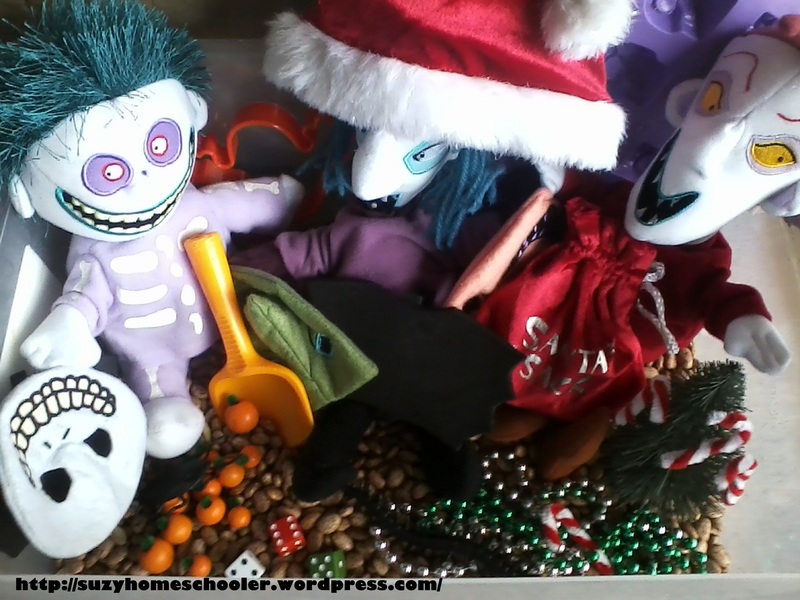 The plush characters were the perfect touch for our Nightmare Before Christmas sensory bin, though the bin could easily have been a success without them. Its that time of year again, the time when we all watch holiday specials and get nostalgic. Or maybe its just me who does that for Halloween. In any case, I love that my children both enjoy the Peanuts gang as much as I did as a child. I especially love that they request to watch Its the Great Pumpkin, Charlie Brown. 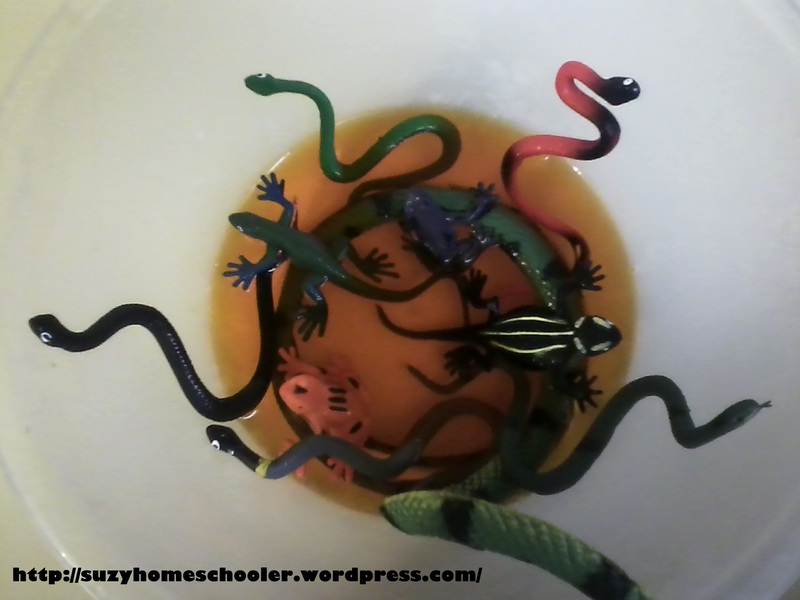 I wanted to expand on their interest, so I created this small world play for them in the bath tub. The other day, as the kids got out of the bath, I greeted them with this invitation to play.